ATS FLEXI-B, 180° pneumatic turning target system for combined qualification & tactical firearms training. This flexible shoot/don’t shoot target system can show face, edge, or back; creating dynamic and stress inducing target practice. It can be readily configured for basic qualification, and then with the touch of a button transform to a dynamic, unpredictable training course. This system can be used to train for stressful real-life situations as it can be programmed to perform new, dynamic, and stressful cycles with a few simple clicks of the mouse or directly on the wireless controller keypad. The FLEXI-B pneumatic target system allows individual control of each target position. Each target has its own pneumatic cylinder which operates independently of the other targets. This means the Rangemaster can program each to turn independently at different face times and different delay times, providing precision target control either by using independent manual switching devices, solid state timing or computer control. Targets may be sequenced individually, in series, or simultaneously at the touch of a single button. 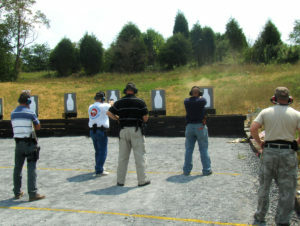 ATS FLEXI-90 pneumatic target system for combined qualification & tactical firearms training. 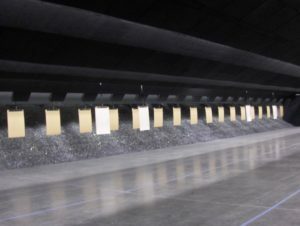 This system can show face or edge, creating dynamic and stress inducing target training. It can be used not only for qualification, but it can also be used to train for stressful real life situations as it can be programmed to perform new, dynamic, and stress inducing cycles. The FLEXI-90 pneumatic target system allows individual control of each target position. Each target has its own pneumatic cylinder which operates independently of the other targets. This means the Rangemaster can program each target to turn independently at different face times and different delay times, providing precision target control either by using independent manual switching devices, solid state timing or computer control. With this easy-to-use system, targets may be sequenced individually, in series, or simultaneously at the touch of a single button. 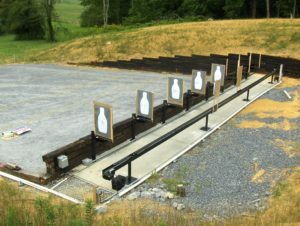 ATS BQ-90 pneumatic live-fire turning target system that is designed for shooting ranges requiring a very inexpensive, synchronized turning target system for practice targets, basic qualification (BQ), familiarization or competition firearms courses. Utilizing a primary master pneumatic target actuator, each of the secondary targets are tied together to the primary target actuator into banks of targets via drive rods. So, when the primary actuator turns, each of the targets turn in unison with the master actuator.